A common criticism about the rapid expansions in the world of technology is that technology drives people apart, makes children loose focus and addicted to all sorts of gadgets. In particular, technology leads many families to become quite impersonal with one another. While this might seem like a logical conclusion to arrive at, the truth is that technology has greatly helped in bringing families together. 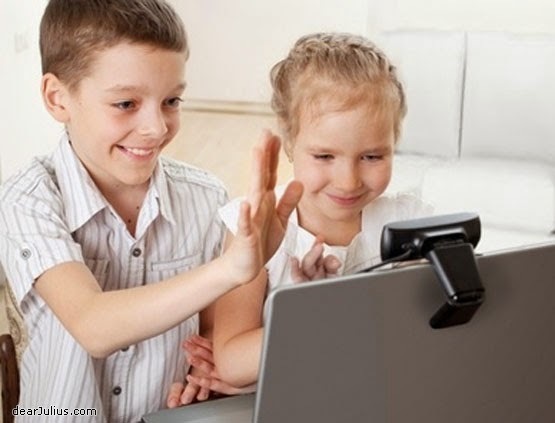 While there may be some element of truth in the notion that people spend far too much time apart from one another because there are invested in their online person as or video games, there is also a significant amount of time and avenues families are able to interact with one another thanks to technology. Social media would be a perfect example of how families never have to be out of touch with one another. Even if several members of the family move to different parts of the world, they can always interact on social media. There interactions are not limited to texting, typing, and chatting. They can post videos and audio files or integrate webcams into the communications. Great distances become a lot smaller when all the parties remain in the communication loop. You do not even need a computer or any social platform to stay in touch. The mobile phone is a device that ensures no one ever has to be out of the communications loop. A person can be reached at any time when he or she has a cell phone. As such, staying in constant contact with family members, if needed, is possible. The high definition video camera is another great device that helps families bond and does so quite nicely. The modern high definition cameras are small, easy to use, come with tons of features and create brilliant video footage’s. Making home movies is easy, enjoyable and forms part of the wonderful memories that bind family members together. Scores of wonderful moments can all be captured if you are a bit savvy with operating an HD camera. Oh yes! parents want to ensure that they occupy an important spot in their children’s lives and getting them to learn how to play those games with you is a massive step towards family unity and ofcourse, we are not talking of playing the bloody god of war or battlefield but something much more appropriate for their age like a few brain picking games. There are myriads of examples of how families can use technological devices together. If there was a theme here it would be that the manufacturing and sale of technology has created many unique devices that have given families something to do as a group activity or, at the very least, be able to interact with one another. In prior generations, this was not always possible or rather was very limited. Not every member of the family might be all that familiar with technology most especially as it is shifting towards robotics. It is often discovered that the elderly parents are finding it a bit hard to educate themselves on the use of more recent gadgets however instead of looking at this as a drawback and leaving such a person out of your life, a better plan would be to help teach the family member how to use such devices. Doing so might prove to be quite an enjoyable experience. The whole process achieves the purpose of integration and increase the time members of the family can spend together when this is simply looked as a means through which everyone can spend more time together doing something productive. A little patience is going to be required to help an uninterested family members get the hang of that new high tech gadget you purchased. Remember, the goal here is to spend time together and not worry about techie issues.